Franco Sarto Camino wedge sandals are available in black and are elegant with endless charm. Leather upper with bow detail on vamp. Adjustable ankle strap buckle. Synthetic lining. Manmade sole. Lightly padded footbed. 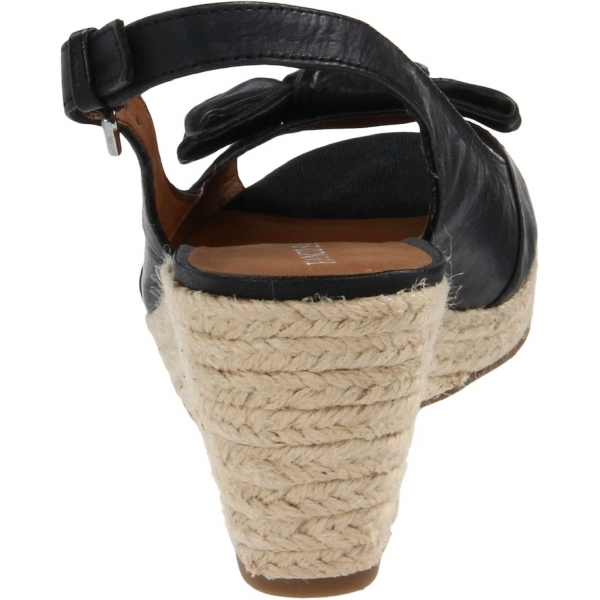 6cm jute-wrapped wedge with 1.9cm platform. Heel is 7cm high.